Steven Spielberg's 1982 classic movie gets the Pop! Vinyl makeover with this E.T. Pop! Vinyl Figure. The cute and adorable E.T. has a stylized look as he stands about 3 3/4-inches tall in a window display box. E.T. is shown with his glowing right finger tip along with his glowing chest, just like you remember him! 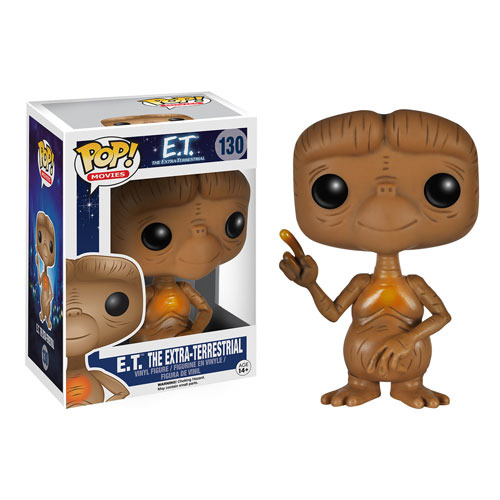 Re-enact the memorable scene with Elliott (sold separately) today by picking up this E.T. Pop! Vinyl figure! Ages 14 and up.